Give or take, the fourth anniversary of the Arab Spring coincided with the resignation of Yemen's government following a confrontation with a Houthi insurgency, leaving Tunisia as the only regional country that continues to inch along a path towards more pluralistic governance. Yemen is back to square one. 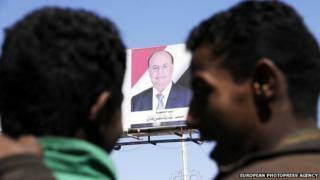 The collapse of the government of Yemeni President Abdo Rabbu Mansour Hadi is bad news on several levels. The headlines in western media have focused on what this means for the threat posed by al-Qaeda in the Arabian Peninsula (AQAP) or for Iran's ambitions in the Middle East. Certainly given the identification of the perpetrators of the Charlie Hebdo attack in Paris with al-Qaeda in the Arabian Peninsula, there is a justifiable concern that AQAP will take advantage of potential chaos. While the Houthis have been battling the government for several months, they have also been fighting al-Qaeda. It is perhaps its only overlapping interest with the West. The Houthis are not enamoured with the US policy in Yemen, nor drones. But even the Houthis seem to recognise the potential value of Monday's drone strike that allegedly killed three al-Qaeda operatives. But being the enemy of an enemy only goes so far. The relative ease with which the Houthis gained strength in recent months, took over de facto control of the capital and became the country's new kingmaker is remarkable and undoubtedly disconcerting to Yemen's primary backers, the United States and Saudi Arabia. The United States has been training Yemeni forces under a counterterrorism effort US President Barack Obama termed a "model" several months ago. While that may be true, the model is clearly a work in progress. The Saudis have poured billions into Yemen to try to ensure the political primacy of the Sunni majority over the Shia minority. The Houthis are a Shia Zaidi sect. The Houthis apparently received support from Iran. Their dramatic rise does suggest that no strategy in Yemen is likely to succeed without taking Iran into account. The Obama administration has been careful to avoid mixing other pressing issues with the ongoing nuclear negotiations with Iran, but it needs to find out what the Houthis and the Iranians want in Yemen and what they can live with. A more fundamental question is: Can Yemen, arguably the region's weakest country, even survive this latest crisis intact? This is not a given. Not so long ago Yemen was two countries - North and South. It only unified in 1990 after a process that took two decades. Like everything else in Yemen, the bond is fragile. The proximate cause of the Houthi confrontation with the Hadi government was a failure to implement an acceptable power-sharing agreement based on a shared future vision for Yemen. The government was considering constitutional changes that would have established a new federal system in Yemen. Hadi favoured the creation of six federal regions and the Houthis just two. At stake is the question of how to divvy up income from Yemen's energy sector. The Houthis participated in both the 2011 revolution that upended the government of Ali Abdullah Saleh - who is nonetheless now backing them - and the National Dialogue Conference that followed. Intriguingly, the Houthis appear to want to be part of the solution, but don't necessarily see themselves as the solution. Since none of the key players in Yemen want to see the country divide and open the door for another mini-caliphate, the potential exists for an inclusive political process that leads to an interim government, constitutional changes and new elections. Parliamentary elections last occurred in 2003 and presidential elections are overdue. Even these basic steps will be a heavy lift. Yemen will need help pulling it off. Mr Obama's brief stopover in Saudi Arabia en route home from India, leading a high-powered bipartisan delegation to pay respects to the Saudi royal family following the death of King Abdullah, was an important gesture and provided a valuable opportunity to discuss Yemen with the new monarch, King Salman. In turn, the United States needs to broaden its counterterrorism approach in Yemen. The Obama administration has become far too tactical. Drones have a role to play, but the secret to success in Yemen is ultimately better governance and economic growth. Just as the crisis in Syria was less about democracy but the price of grain, so too cuts in fuel subsidies in Yemen contributed to the current unrest. Most American aid to Yemen is military. Whacking bad guys is important, but what Yemen desperately needs is more economic assistance. Its economy is stagnant; it imports 90% of its food, and is running out of water. What Yemen needs is a long-term commitment from the United States and the international community. If there is one thing we now understand about the transformation under way in the Middle East, helping a country like Yemen save it from itself will take not years, but decades. P.J. Crowley is a former Assistant Secretary of State and now a professor of practice and fellow at The George Washington University Institute for Public Diplomacy & Global Communication.